El Nido town has a wide choice of accommodations, restaurants and bar to go out at night. Here is our best choice to help you finding what suits you the best! El Nido town has a range of budget accommodation from small run-down cottages to a few high-end resorts. 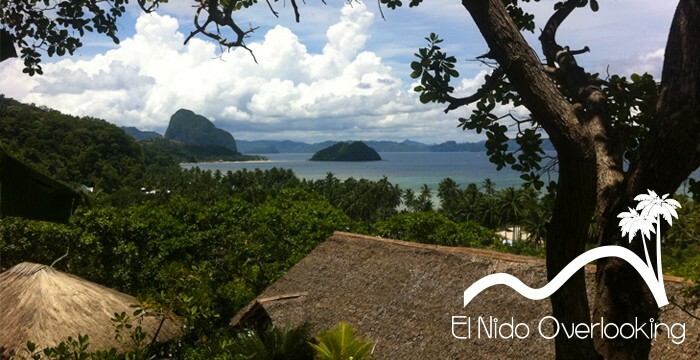 The El Nido Overlooking is our favorite place in town. Their cozy and spacious private villas are hidden in the hills and face Bacuit Bay. From the infinity pool or from your deck, the view is breathtaking. If you’re looking for space and peace in a luxury setting, this is the perfect accommodation. The Cadlao Resort and Restaurant is a classy accommodation. You will appreciate their nice and comfortable bungalows, the tropical garden, the infinity pool and the view on Cadlao island. They house the best restaurant in town and propose a lot of high-end services (massage, island and inland tours). In the Philippines you’ll find live bands performing in bars almost every night and playing any kind of music.